Culled and revised sermon from the mountain of fire and miracles ministries. Today message is a prophetic message. If you are not ready to concentrate on this prophectic message, don’t start it yet. I want you all to read message with serious concentration and high expectation that the lord will definitely touch you. It will be good you key in into the prayers and prophetic utterances. When prophet Samuel spoke the prophetic utterance into the life of Saul, his life became a wonder. People begin to wonder and amazed because Saul was not a prophet began to prophesy. Why? he received the prophetic oil. As many people are keying in to this word, receive the prophetic oil in Jesus name. I decree into your life that you will become a wonder. The position that people think you cannot occupy the height people think you cannot reach, Receive it in Jesus name. It does not take God time to change your story; He can do it within seconds. 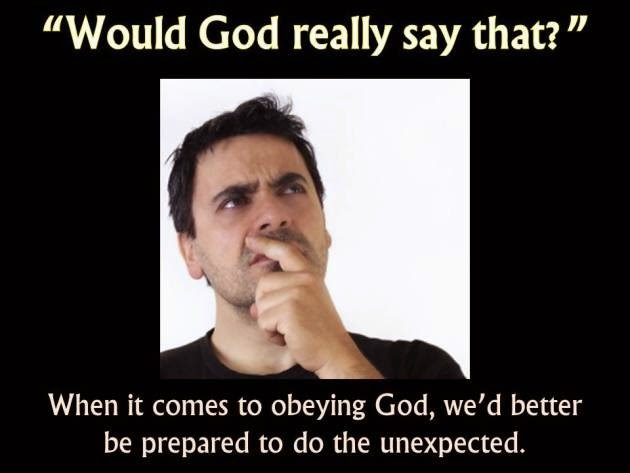 I will do a new thing => This is God talking here, not a prophet, angel or any person. Now=> it means that it shall happen now, not later or tomorrow. 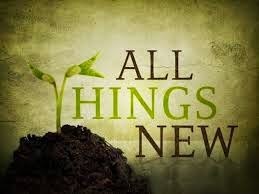 It shall Spring forth=> means that new thing shall manifest, all eyes will see, all mouth talk about it. Way in the wilderness, rivers in the desert=> means that the impossible shall become possible. 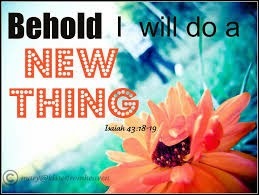 Our God is a God of new things, He love to do new things. 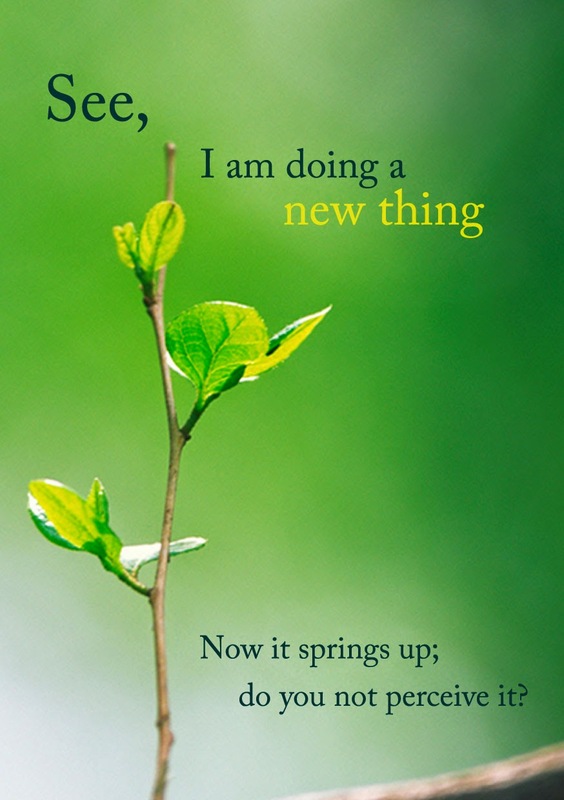 Doing New things are not strange for God, rather is it difficult. Ø This is a Promise. A proclamation and statement of fact. You Evil background cannot stop it. The devil cannot stop it. Even your unbelief cannot stop it. 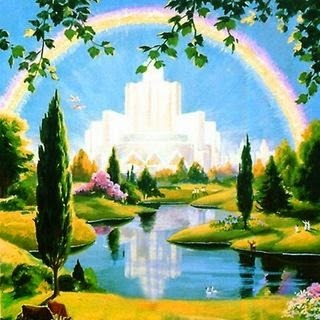 The bible says; our God dwelt in heaven and doeth that, which pleases him. It has please him today to bless you, no matter your unbelief; He will start a new thing in your life today. When you resist change you become history and outdated. 2. To Start All Over => Some people need to start afresh to succeed because what they are currently doing now is not supported by God. 3.Testimony => It means that you will new and uncommon testimony, in your life. You might be hearing such testimonies from afar and reading them in books but, right from now, you will start experiencing them. May be you are never children Testimonies of house, marriage, children, received those testimonies today in the name of Jesus. Your friends, family neighbor will not be able to recognize you again. Hey will say; He is the one, No he is not the one, but it looks like him. That is your portion today in Jesus name. During the transfiguration of Jesus, they disciples wanted to remain with Jesus forever. 5.Decorate Your Life => Like Joseph that was given the coat of many colours that distinguishes him, You life shall be decorated with good things of life. As from today, no man will have any cause to pity you again in Jesus name. You can't box him to a corner. You may think that he will come this way, and He comes the other way. There was a wealth woman, she had everything, big house, car, job but lacked a husband. She was praying fervently and God was watching her. One day God said to her, daughter, this week your husband will appear. She was so excited; she received the prophecy and was full of expectation that week. During this week, there was a day she came from work, her security guard, approached her and said he is the one God spoke to her about. She could not believe her hears, security guard? But she was confused on how the security that was always at home knew about the prophesy at the church. She went to see her pastor at church, explained to him, the Pastor confirmed it, but she refused; It can’t be him. She went to see another pastor somewhere else, the pastor also told her that her husband is the security guard. You can see her unbelief. As if that was not enough proof, She went further toy see the t third man of God. This time, as soon as the man of God saw her before she sat down, he told her about her husband, giving her details, the full name and home town. She finally surrendered. At the moment, they are happily married with children. When the children of Israel were praying for deliverance, no one ever knew that their deliverance will come far away from Egypt, in the burning bush. 1. God has all the power; He is the Father of all spirits, including the good and evil spirits, they all bow to him. 2. He is the Embodiment of all wisdom; He can alswer all questions. Romans 16:27 declares, He is the only wise God. 4. Can use anything and Everything to accomplish his purpose for your life. This includes humans, animal, angels, river unbelievers, anything. There was a man that was brought for prayers. He was brought by his people in a car, his hands and legs have been paralyzed. He said, he just noticed a strange wind come on him and it suddenly could not use his hands and legs. 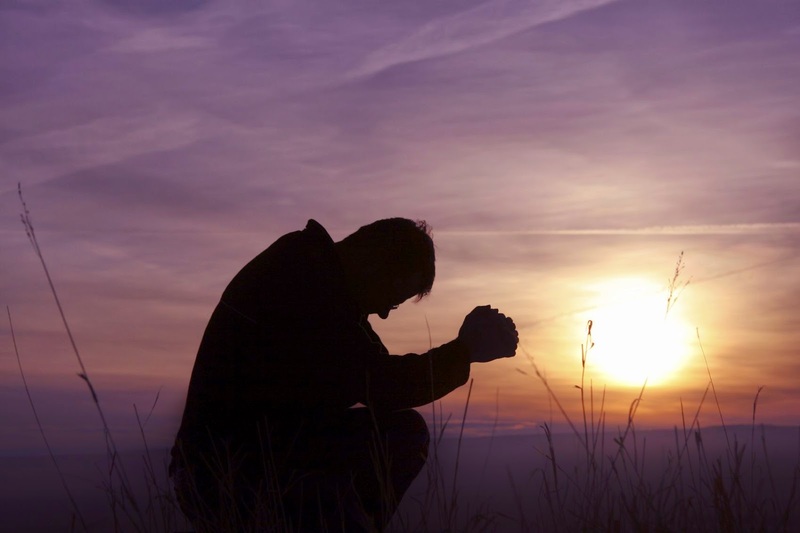 The pastor started to pray with him, his hands became straight. They continued the prayers and the man’s legs also became straight. The man was so happy that he was jumping halleluiah. After some counseling, they were on their way on. Suddenly the pastors saw them coming back, this time it was the man’s brother that was paralyzed. Then he started to confess, that he was the old that initially inflicted his brother with paralysis because he was doing so much well meanwhile things were rough for him. When Hannah’s prayer was answered, it swallowed all her pains and sorrow. God told Abraham, that as far as his eyes could see, they will be given to him. Our problem is that, though we know God can do it, we usually want it to happen before we see it. When we see the wrong things, the enemy will keep stealing our joy. A woman was brought for prayers; she is looking for the fruit of the womb. Whenever she was pregnant, at some point of the pregnancy, she would see blood in her dreams and immediately she will lose the pregnancy. The pastor prayed for this woman and declared to her that she was going to have her child. She came back to the pastor, after two months. She came with a black nylon, inside was blood soaked cloth. She said; pastor I told you I will see blood, the pastor replied her; What do you want blood or a child. She delivered that same pregnancy with a child. Nothing can stop God from doing, what He has decided to do. Just begin to visualize it. Jabez cried for increase and the lord heard him. The bible says, whosoever call upon the name of the lord, shall be saved. Peter cried, when he was sinking. You need to provoke your new things. 1. Sincerely: You need to be open hearted. Like the thief in the right hand of Jesus. 2. Faithfully: Be faithful in your ways. 3. Desperately: Your approach must be desperate. Like Jacob that said, unless you bless me, I will not let you go. 4. Expectantly: Be full of hope and expectation. Your expectation will not be cut short. 5. Aggressively: Don’t take it lightly. 6. Boldly: Com to the throne of grace boldly to get mercy you require. 8. Call upon Him Now: Call on him now, not tomorrow, latter; it is now. Seek the lord while, he is near. There was a woman that owed a huge debt that is almost killing her. Her creditors have threatened to arrest her and given her an ultimatum of two days. She came to service and cried to the lord, sincerely, boldly, desperately. Just after the service, she was still in the church auditorium, her phone rang. It was her creditor, the creditor said; I just don’t know; there is a feeling in me that says I should just leave that money, you are forget the debt. Pray this singular prayer, seven (7) times with faith. 1. O God, Arise, Do a New Thing in My Life, In the Name of Jesus. I Claim new things in my life today in the name of Jesus. new things shall begin in my life, work and family today.